Leicester City welcome Championship side Sheffield UTD to the King Power Stadium for their FA Cup tie on Friday night. Who will go through? Read below our Leicester vs Sheffield UTD betting preview with predictions, betting tips, probable lineups, team news, best odds, exclusive promotions and no deposit free bets on the Emirates FA Cup! Leicester will be hoping to bounce back from a tough 5-1 defeat away at Manchester City in Saturday’s Premier League tie. They have only suffered two defeats in their last nine games now across all competitions, but both losses there have been in their last three games. The Foxes have already met Sheff UTD this season. In fact, these clubs faced each other in the Carabao Cup second round at Bramall Lane back in August where Leicester ran out 4-1 winners. Claude Puel has no fresh injury or suspension concerns ahead of this match as Shinji Okazaki and Wes Morgan are the only two unavailable players. The likes of Ben Hamer, Yohan Benalouane, Danny Simpson and Kelechi Iheanacho should start while Jamie Vardy, Marc Albrighton, Ben Chilwell and Harry Maguire should be rested. Iheanacho will spearhead the attack, with Fousseni Diabatè as number ten, while Demaray Gray and Riyad Mahrez should play out wide. Wilfried Ndidi and Vicente Iborra are expected to anchor the midfield. Sheffield UTD are knocking on the door to the play-off places in the Championship. They have beaten Leeds UTD in a hard fought derby last weekend and now sit 8th in the table, 3 points behind 6th placed Bristol City. Prior to that, they lost 3-0 at Wolves and 0-1 at home against Aston Villa. The Blades have edged their way past 2 fellow Championship sides on their way to the FA Cup fifth round, beating 1-0 Ipswich away from home and 1-0 Preston in front of their own supporters. Manager Chris Wilder has a number of injury problems with David Brooks, Paul Coutts and Kieron Freeman still sidelined. Elsewhere goalkeeper Simon Moore is banned while Ryan Leonard, Lee Evans and Ricky Holmes are ineligible. As a result John Lundstram could come into the middle of the park with Chris Basham moving forward to strenghten the midfield. Up front, Billy Sharp should retain his berth while Clayton Donaldson may come in to replace Leon Clarke. Our mission is to provide our readers the best available odds on all our previewed match. 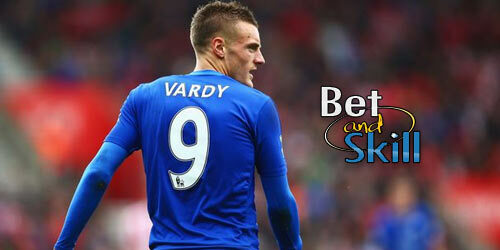 This section contains the highest prices on the Leicester vs Sheffield UTD match winner market! Wanna know which bookmakers have the best odds on average? Take a look at our Bookmaker odds comparison table! Our tipsters have deepley analysed all the info: recent form, team news, motivations, odds, lineups, etc.. and these are our 4 recommended bets on the Leicester vs Sheffield UTD fixture. Please, come back to leave a comment in case you make profits with our tips! 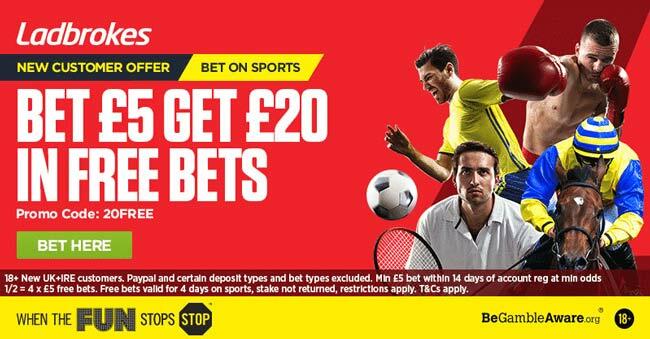 Looking for all our FA Cup free predictions and accumulators? Please visit our FA Cup free betting tips & acca post! "Leicester vs Sheffield UTD betting tips, predictions, lineups and free bets (FA Cup - 16.2.2018)"